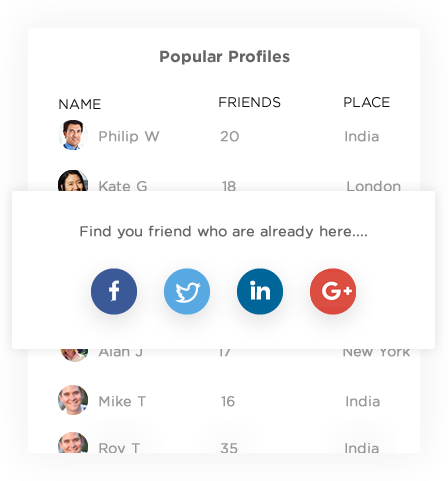 vSocial™, our custom social network software is everything that we’ve learnt about developing social networks. 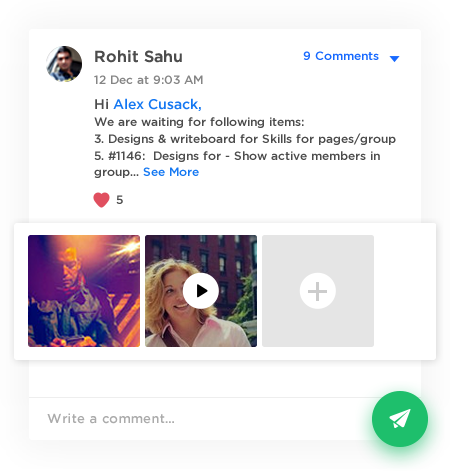 It’s a homegrown mobile-first and 100% customizable social network software that we built all our social networks on. This is a social media creator that can be customized as per industry needs, be it interest groups, enterprises, e-commerce, customer communities or sports fans. 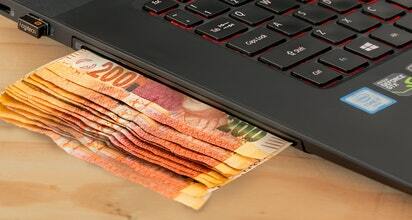 We’ve already invested over 25,000 hours into the development of this robust and customizable social network website builder software (and growing every day). 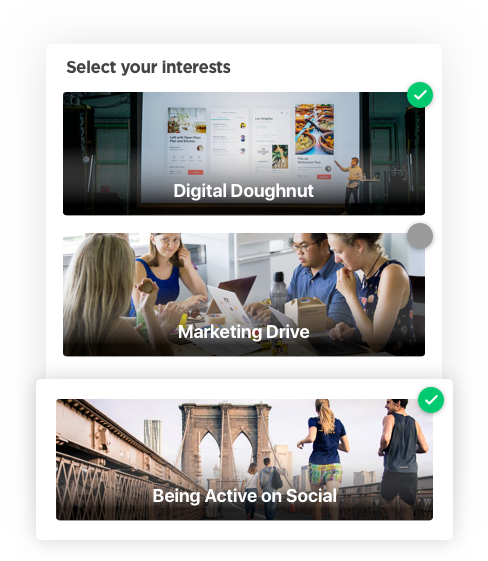 We are constantly adding new features, security measures, tracking methodologies to turn this social media app builder into a powerhouse for building any kind of custom social network. 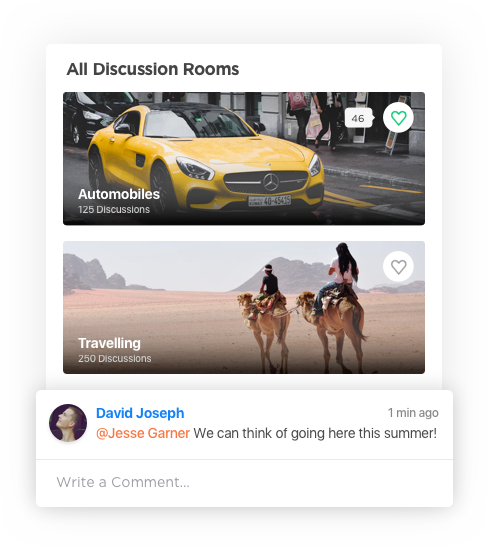 Engage in meaningful discussion within the network, find out experts and browse the content most meaningful to you. 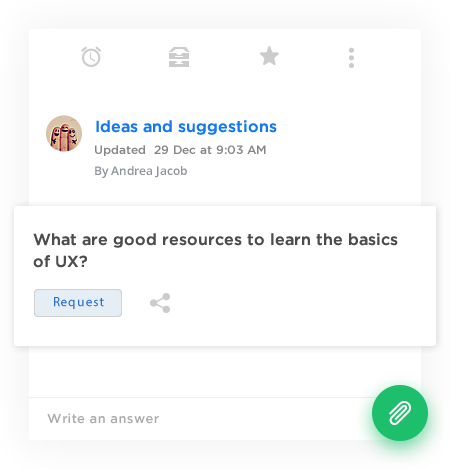 Use the power of crowd to get answers to questions. 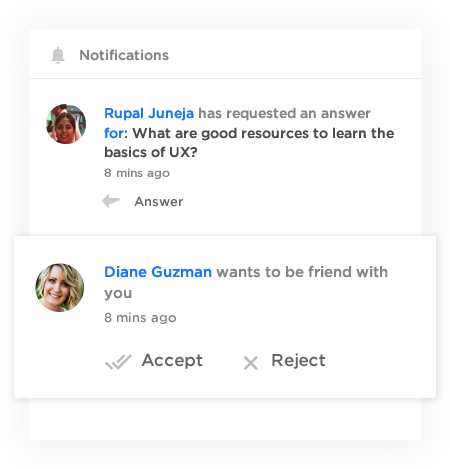 You now have the ability to look at the most appropriate response, request for answers, mark answers or unanswered questions. 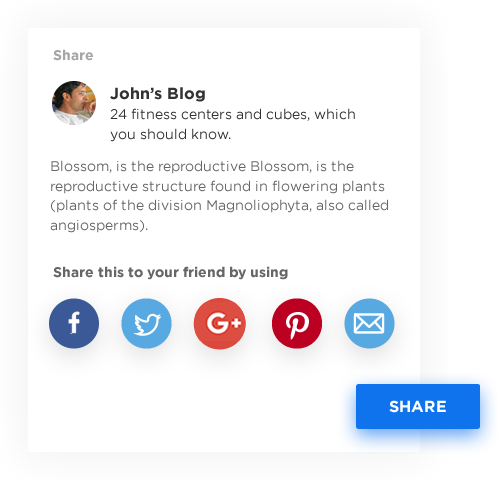 Capture all knowledge within the social network easily. Create, modify and organize helpful posts for authorized people to have easy access to. Also, you can view popular and suggested articles, mark your favorite ones and select categories to get personalized articles. Any valuable information can be broadcasted across the social network by the admin, which can also appear as a notification to the members. 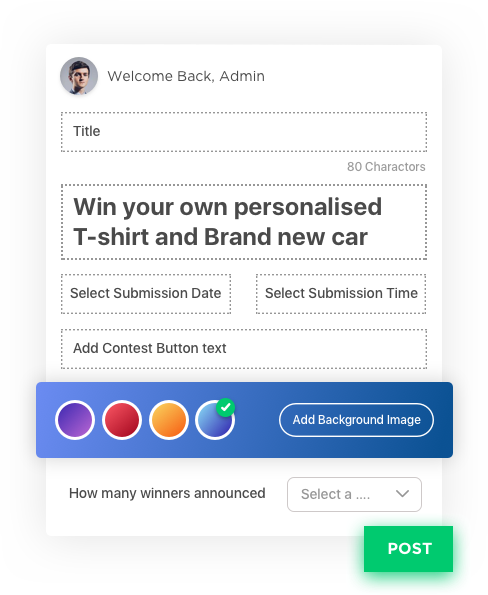 Admin can create contests for users wherein he/she can specify the details of the contestants like the prize, end-date and many more. They can participate in them with just one click. 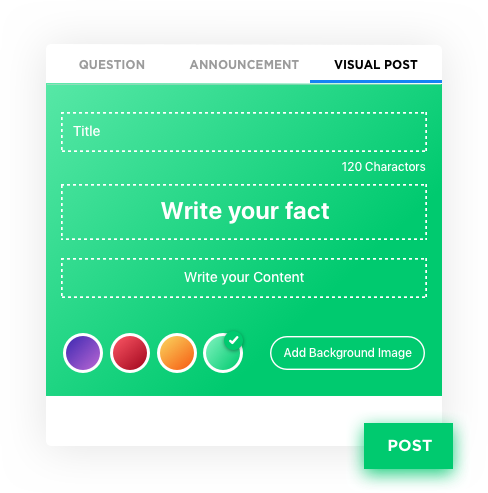 Users can create beautiful visual posts with varied images, backgrounds and one liner texts. 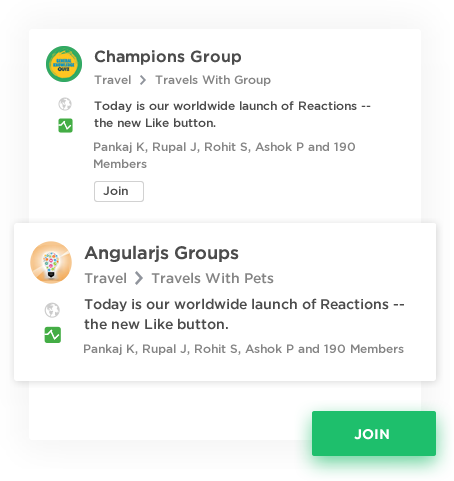 Allow users to create groups based on interests, locations, or absolutely anything. Create ad-hoc areas and enable focused communication. They can be public, private or secret as well. 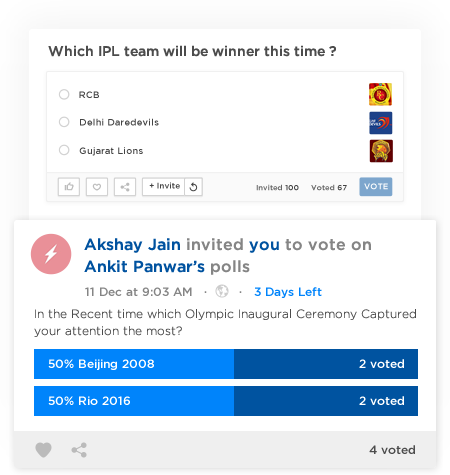 Create polls easily for friends and groups, add images, set expiry dates, allow anonymous voting. 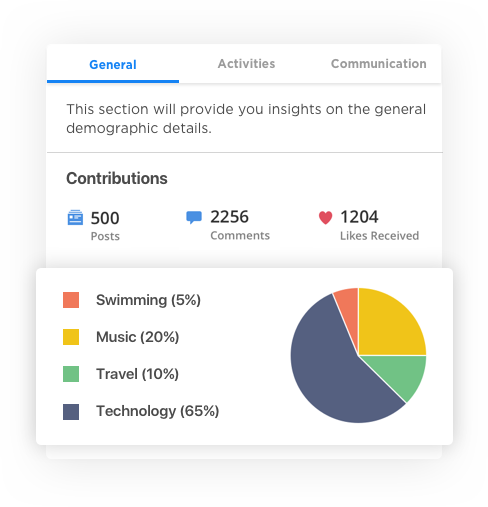 Generate useful insights from your social network. 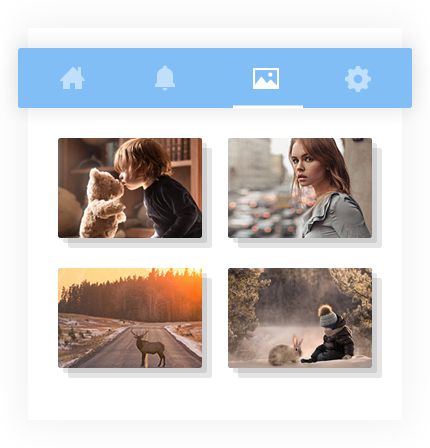 Share files with friends or groups, search them easily and update newer versions. Find out who’s the tech ninja in your team. Let the group rate each other on multiple skills so that you always know who to contact in case of a certain need. 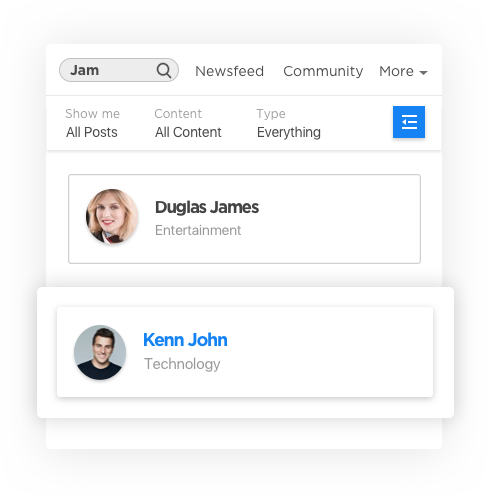 View popular posts, influencers, categorical discussions, act as moderators and many such advanced features are offered in the community. 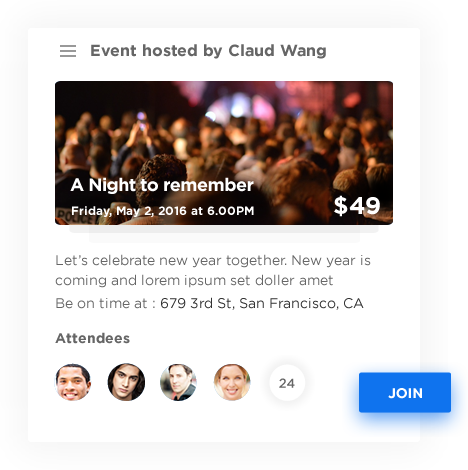 From small private events like birthday parties to huge public events like soccer matches, allow your users to create events, invite other users, search events based on location and interest and advertise it properly across the social channels. 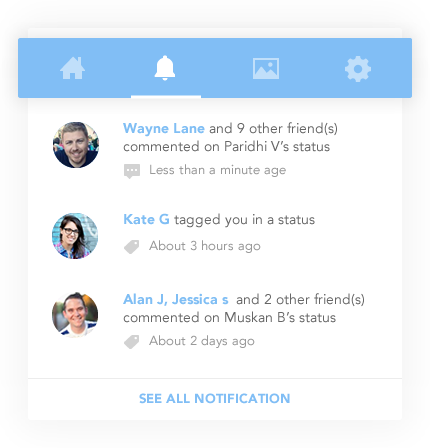 Catch someone’s attention by tagging users within a post or on a photograph by @mentions. 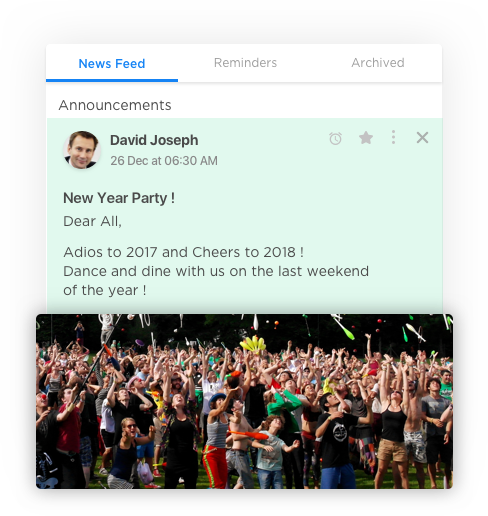 Let your users stay updated of all the happenings by receiving in-app, push and email notifications. They can even decide what kind of notifications they want to see. This social media website builder allows several features for creating pages. Users and companies on the social network can have pages for their brands, business, products or services. 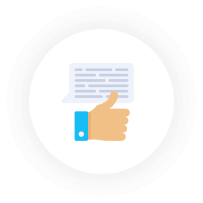 Users can rate businesses and businesses can interact with their consumers through this. 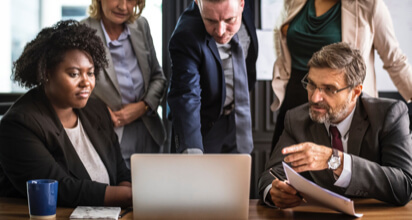 Category experts or prominent members can rise as top influencers in any discussion room and can resolve other user’s queries be their guides in the discussion. 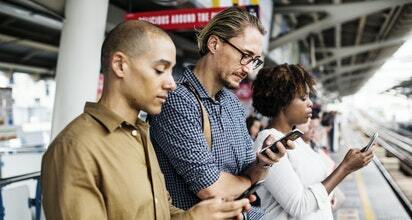 Allow your users to connect to your social network through Facebook, Twitter, Google + or LinkedIn. Share the content of your social network on these popular social networks. 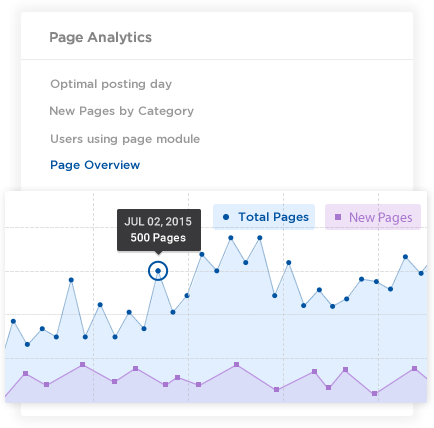 Manage your community easily and analyze all the data gathered from your user base. Our social network website builder provides the admin with a lot of freedom. The admin gets an activity dashboard wherein he can view the activities of all the users on the social network. 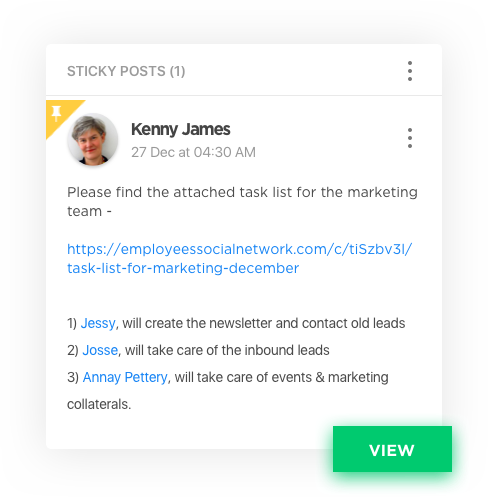 Admin can mark any activity as featured, can verify new profiles that are added to the system and associate any entity with tags which will be used to classify them. System will generate any user's persona, where admin can associate any tags to refine the persona. 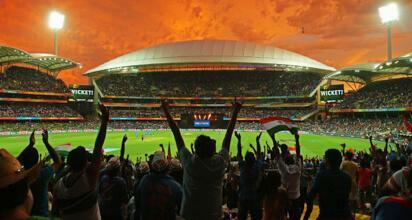 All the communications happened across the custom social network will be recorded here. 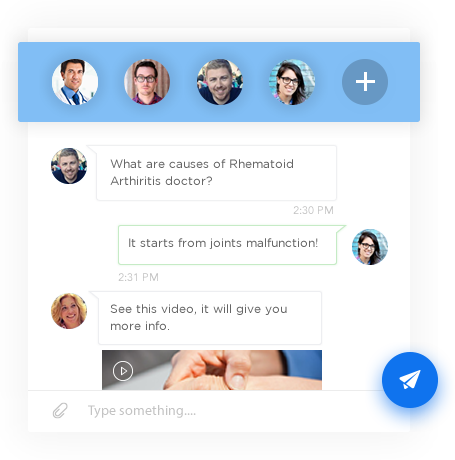 Your users easily stay connected and interact with real time chats and video calls. All optimized for bandwidth. 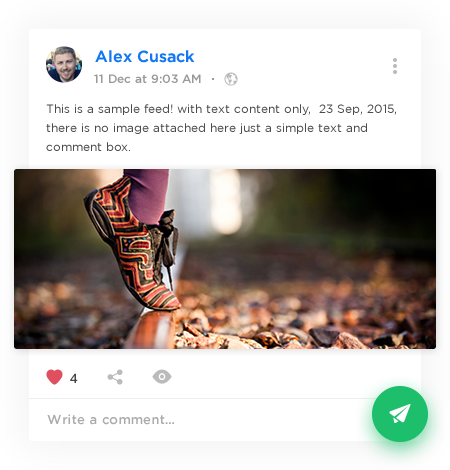 Your users can upload photos & videos, organize them in albums, share them with their friends and browse it conveniently from all devices on your custom social network. 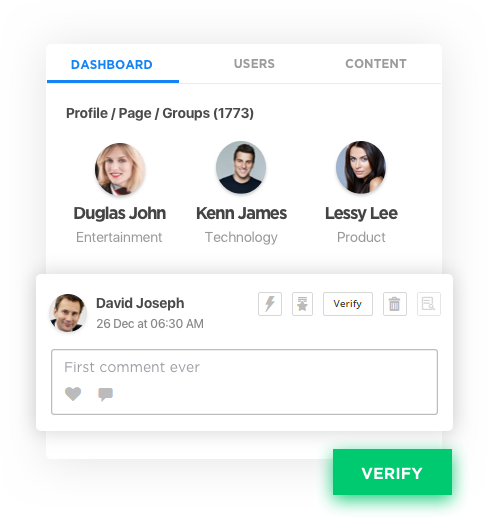 The social media creator allows us to build network models on an engaging social platform for users to find, add, delete and follow other users. Any important post/announcement can be made sticky, i.e. it will appear on the top of the user’s newsfeed. 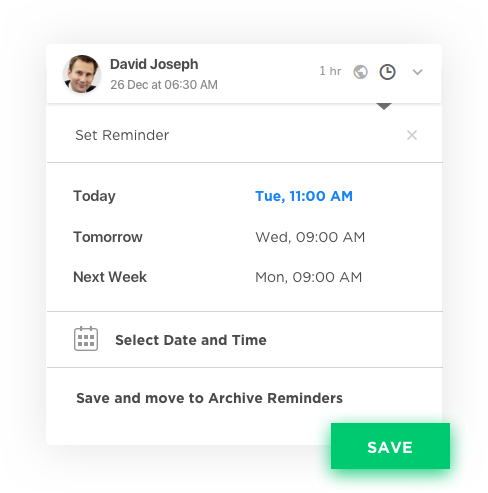 Users can set reminders for any post and they will be notified later about it. It’s a dedicated place for the user where he will be able to see all those posts where he is mentioned, has added to watchlist, has set a reminder, or is notified for. 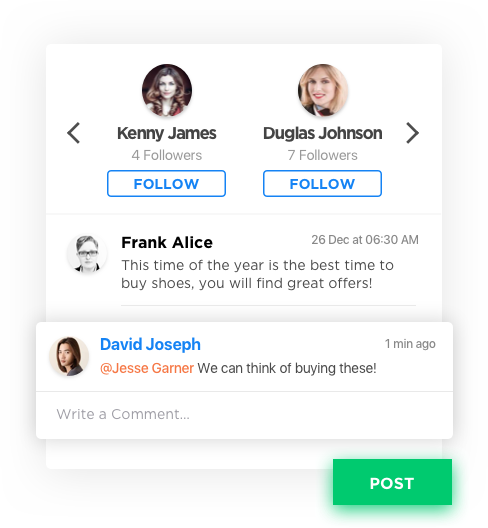 The user can receive a personalized newsfeed and recommendations based on his interests selected. 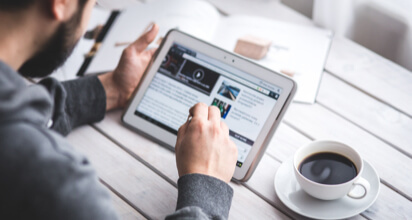 Effective search and newsfeed filters for users to get exactly what they are looking for. 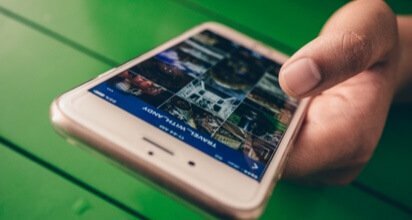 From responsive designs to full-fledged mobile apps, this social media app builder designs your custom social network with mobile in mind. 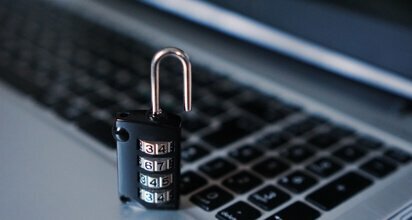 The system is regularly being tested with thousands of users and has a strong architecture to withstand huge volumes. The social media creator software is regularly updated and tested at our end for the same. From adding newer modules to completely changing the designs of the core platform, vSocial provides for some extremely smart customization.